Swedish technology journalist Mats Lewan release new book about E-Cat. 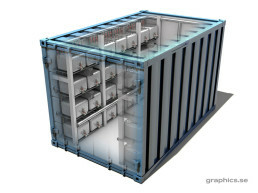 Cold fusion is an energy source that could provide clean water to Planet Earth, zero-emission vehicles with unlimited mileage, a solution to the climate crisis and much more. It is clean, compact, simple, inexhaustible and . . . physically impossible. At least that is what science has considered since 1989. “On our website, the article was headlined: “Cold fusion may provide one megawatt in Athens.”In the newspaper, it said instead, on the front page: “We deserve the Nobel Prize.” It was not Rossi but Focardi who, politely cautious, expressed his views on the technology and the possibilities of the Nobel Prize when I interviewed him. In the last pages of the ECAT Test report all authors gratefully acknowledged the financial support from Alba Langenskiöld Foundation and ELFORSK AB in Sweden. On 17 December 1992 Vattenfall, Svenska Kraftnät (Swedish national grid), Association of Swedish Electric Utilities’ (Svenska Elverksföreningen) and Swedish Power Association (Svenska Kraftverksföreningen) agreed to set up Elforsk – Swedish Electrical Utilities’ R & D Company (Svenska Elföretagens Forsknings- och Utvecklings- Elforsk – Aktiebolag). Researchers from Uppsala University and KTH Stockholm has conducted measurements of the produced heat energy from a device called the E-cat. 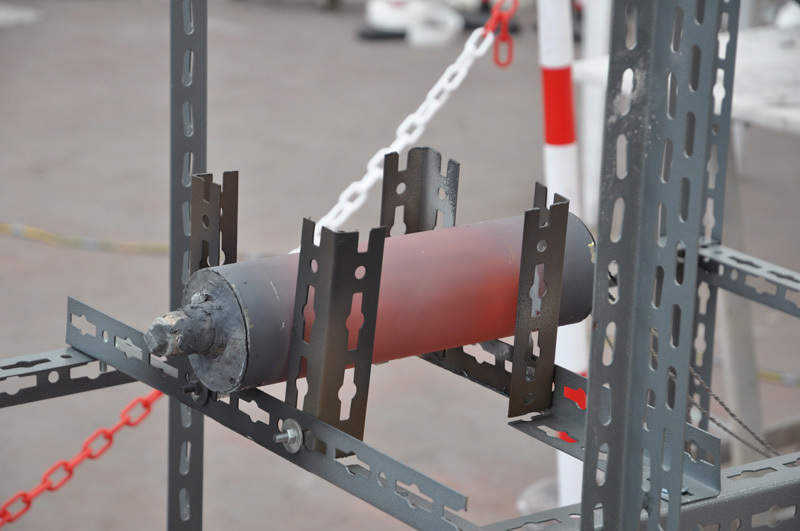 It is known as the energy catalyzer invented by the Italian scientist Andrea Rossi. 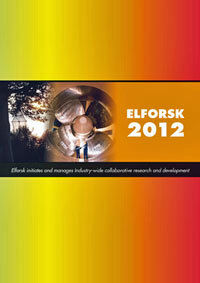 Elforsk’s work is carried out in the form of coordinated framework programmes and as individual projects. Proposals for R&D come from our customers, from Elforsk staff members, and from external parties with whom we work. Proposals are evaluated in various ways, such as with the support of our programme council, and developed in conjunction with possible sources of funding and performers. The R&D proposals are then submitted to our clients – owner group companies, authorities and other possible interested parties – with a clear description of the expected benefit. When project funding has been secured, Elforsk commissions execution of the work from companies in the owners group, from institutes of technology or from manufacturers or consultants, and manages the quality of the resulting projects. The final task for Elforsk is then to transfer the results of projects to the customers so that they can be applied in an effective manner. Certain results with an innovative content may lend themselves to commercialisation.For this, Elforsk cooperates on the “KIC Inno-Energy” initiative. Only those projects that are guaranteed sufficient funding can be carried out. Elforsk has no underlying basic finance for its work, or for its personnel costs, which is a relatively unusual situation for an R&D organisation. The overall purpose of this arrangement is clear: only work directly requested by customers must be carried out. Elforsk’s method of working attracts attention, and not just in Sweden. It is cited in various contexts as a possible model for other sectors, which do not have the same systems for how the various parties from institutes of technology, public authorities and industry can work together towards common objectives. A number of physicists from Bologna University, Italy, Uppsala University, Sweden and Royal Institute of Technology, Sweden has verified the exothermal process of the ECAT (The Rossi Effect). The entire report can be found on the page 3rd-Party-Report-shows-Anomalous-Heat-Production-the-Rossi-Effect. Here follows a digestion of the content giving the essence of the report. Noticeable at this test was that temperatures reached was so high at the outer surface, (>800 C), that one could visually see local power differences and hence see more and less active areas of the charge within the reactor, distinctly from the generated power from the resistors. This test was performed at a much lower temperature than the November test to remove the risk of reactor runaway. 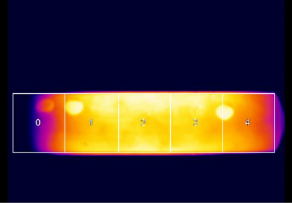 A detailed data analysis was performed calculating heat losses by radiation and convection separately. The heat loss by conduction was assumed to be zero. Radiated power was found to be, 1568 W and the convected power was found to be 466 W.
At the same time the average input power was, 360 W leading to a COP of 5.6. After error estimation the conclusion was, COP=5.6 ± 0.8. Comparison was made with a standard Ragone plot where, especially, the energy density was off the charts and the conclusion was made that the Rossi Effect can not be a conventional energy source. To this test a new design of the ECAT HT was made, which they refer to as ECAT HT2. Measurements was this time also done of the same reactor without the charge inside (now referred to as a ”dummy”) to compare it with actual measured data and not only to data performed by calculations. This enabled them to find out exactly how much input power required to reach the same temperatures as with the charge. When COP was calculated in this test they arrived at COP= 2.6 ± 0.5 but this was later revised from the dummy test to COP = 2.9 ± 0.3, concluding that the output power was underestimated by >10%. “The results obtained indicate that energy was produced in decidedly higher quantities than what may be gained from any conventional source. In the March test, about 62 net kWh were produced, with a consumption of about 33 kWh, a power density of about 5.3 · 10^5 W/kg, and a density of thermal energy of about 6.1 · 10^7 Wh/kg. In the December test, about 160 net kWh were produced, with a consumption of 35 kWh, a power density of about 7 · 10^3 W/kg and a thermal energy density of about 6.8 · 10^5 Wh/kg. The difference in results between the two tests may be seen in the overestimation of the weight of the charge in the first test (which was comprehensive of the weight of the two metal caps sealing the cylinder), and in the manufacturer’s choice of keeping temperatures under control in the second experiment to enhance the stability of the operating cycle. In any event, the results obtained place both devices several orders of magnitude outside the bounds of the Ragone plot region for chemical sources. Even from the standpoint of a “blind” evaluation of volumetric energy density, if we consider the whole volume of the reactor core and the most conservative figures on energy production, we still get a value of (7.93 ± 0.8) 10^2 MJ/Liter that is one order of magnitude higher than any conventional source. Note: It measures TrueRMS so it will measure correct power input independent of the waveform of the electric input. ELFORSK contributed to the expenses of the Swedish research group. Elforsk AB, which began operations in 1993, is owned by the Svensk Energi and the Svenska Kraftnät. Svenska Kraftnät (Swedish national grid) is a state-owned public utility that has many different areas of work. One of Svenska Kraftnät’s important tasks is to transmit electricity from the major power stations to regional electrical grids, via the national electrical grid. ELFORSK’s overall aim is to rationalize the industry-wide research and development. The business is organized into six program areas Hydro, Electricity and Heat Generation, Nuclear Power, Transmission and Distribution, Use, and Strategies and Systems. The contribution from ELFORSK to the Swedish group for participating in the experiments is just a small part of a bigger goal set up by the organization. Read PDF here. Page 53. Budget ECAT 2012 200 kkr, 2013-2015 2000 kkr/year. In addition, also stated in the validation report, the next step will be to perform a six month test of the ECAT HT. Today a report of the third party verification of the ECAT technology was made public at arXiv.org. Even from the standpoint of a “blind” evaluation of volumetric energy density, if we consider the whole volume of the reactor core and the most conservative figures on energy production, we still get a value of (7.93 ± 0.8) 102 MJ/Liter that is one order of magnitude higher than any conventional source.